After two years of anticipation, planning, dreading, and scrambling to put compliance measures into place, the GDPR enforcement deadline kicked in, and almost immediately multi-billion dollar privacy lawsuits were brought against Google, Facebook and other popular social services. Optiv released their annual Cyber Threat Intelligence Estimate showing a dramatic increase in cyber attacks coming from unexpected sources, such as the Netherlands, most of them using traditional exploits that depend on open source and custom built tools. And to top things off, the FBI issued a warning that Russian malware has infected over half a million consumer routers and NAS devices and advised users to reset their networking equipment in an attempt to address the problem. Of course, one of the most important elements in protecting your devices and network against these and other threats is to keep all systems (including the firmware on routers) updated. It’s important to remember that the major software vendors whose patches we review here each month are only a part of the vast number of companies that create the programs that run our many machines. Today, even our connected cars are vulnerable; researchers discovered 14 vulnerabilities in several models of BMW that could be exploited to gain control of the software; BMW dealerships are providing updates. Note that at the time this article is being written and submitted, there are two more days left in the month. If additional updates are released during those two days, we will cover them in next month’s Roundup. As of the date of this writing (May 29), Apple had released only one security update this month and it wasn’t an iOS, OS X or macOS patch; it was for their Swift programming language running on Ubuntu. Security Update 2018-001 Swift 4.1.1 for Ubuntu 14.04 was released on May 4 to fix an issue whereby libraries are loaded with write and execute permissions. An attacker could exploit this vulnerability to obtain admin privileges and accomplish arbitrary code execution so this should be considered a critical update. The Flash Player update for Windows, Mac, Linux and Chrome OS and the Adobe Acrobat and Reader update will have the most widespread impact. The Flash update addresses a single critical type confusion vulnerability that could be used to accomplish arbitrary code execution. The Acrobat/Reader update addresses a large number of critical and important CVEs that include double free, heap overflow, use-after-free, out-of-bounds write, out-of-bounds read, security bypass, type confusion, untrusted pointer dereference, memory corruption, NTLM SSO hash theft, and HTTP POST new line injection issues. Most of these are arbitrary code execution vulnerabilities; there are also two information disclosure issues and a security bypass. The Photoshop CC update will also affect a substantial number of users. It addresses a single critical out-of-bounds write vulnerability that could lead to remote code execution. The Creative Cloud update addresses three vulnerabilities, two of which are privilege escalation issued rated important, and the third is a security bypass that is rated critical. The Adobe Connect update addresses a single authentication bypass vulnerability that could result in sensitive information disclosure. It is rated important. 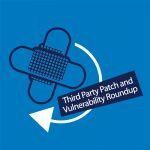 On May 7, Google released their monthly Android security bulletin containing details of vulnerabilities affecting Android devices. The most severe of this month’s issues is a critical security vulnerability in Media framework that could enable a remote attacker using a specially crafted file to execute arbitrary code within the context of a privileged process. On May 15, Google released a new stable channel update for the Chrome web browser for Windows, Mac, and Linux, version 66.0.3359. Looking ahead, Google is expected to release Chrome 68 in July, which will make a major change to the way HTTP non-encrypted sites are displayed. With that version, the browser will start marking such sites as “Not Secure” with a prominent warning. Most top sites now use HTTPS (secure HTTP) by default. Oracle normally releases security updates on a quarterly cycle, in January, April, July and October. The April 2018 update was released on April 18. The next scheduled update is scheduled to be released on July 17th. CVE-2018-5154: Use-after-free with SVG animations and clip paths. High impact.A use-after-free vulnerability can occur while enumerating attributes during SVG animations with clip paths. This results in a potentially exploitable crash. CVE-2018-5155: Use-after-free with SVG animations and text paths. 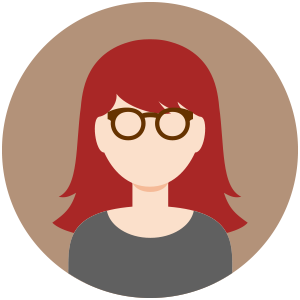 A use-after-free vulnerability can occur while adjusting layout during SVG animations with text paths. This results in a potentially exploitable crash. CVE-2018-5157: Same-origin bypass of PDF Viewer to view protected PDF files. Same-origin protections for the PDF viewer can be bypassed, allowing a malicious site to intercept messages meant for the viewer. This could allow the site to retrieve PDF files restricted to viewing by an authenticated user on a third-party website. CVE-2018-5159: Integer overflow and out-of-bounds write in Skia.An integer overflow can occur in the Skia library due to 32-bit integer use in an array without integer overflow checks, resulting in possible out-of-bounds writes. This could lead to a potentially exploitable crash triggerable by web content. CVE-2018-5160: Uninitialized memory use by WebRTC encoder. WebRTC can use a WrappedI420Buffer pixel buffer but the owning image object can be freed while it is still in use. This can result in the WebRTC encoder using uninitialized memory, leading to a potentially exploitable crash. CVE-2018-5152: WebExtensions information leak through webRequest API. WebExtensions with the appropriate permissions can attach content scripts to Mozilla sites such as accounts.firefox.com and listen to network traffic to the site through the webRequest API. For example, this allows for the interception of username and an encrypted password during login to Firefox Accounts. This issue does not expose synchronization traffic directly and is limited to the process of user login to the website and the data displayed to the user once logged in. CVE-2018-5153: Out-of-bounds read in mixed content websocket messages. If websocket data is sent with mixed text and binary in a single message, the binary data can be corrupted. This can result in an out-of-bounds read with the read memory sent to the originating server in response. CVE-2018-5166: WebExtension host permission bypass through filterReponseData. WebExtensions can use request redirection and a filterReponseData filter to bypass host permission settings to redirect network traffic and access content from a host for which they do not have explicit user permission. CVE-2018-5168: Lightweight themes can be installed without user interaction. Sites can bypass security checks on permissions to install lightweight themes by manipulating the baseURI property of the theme element. This could allow a malicious site to install a theme without user interaction which could contain offensive or embarrassing images. CVE-2018-5169: Dragging and dropping link text onto home button can set home page to include chrome pages. If manipulated hyperlinked text with chrome: URL contained in it is dragged and dropped on the “home” icon, the home page can be reset to include a normally-unlinkable chrome page as one of the home page tabs. CVE-2018-5173: File name spoofing of Downloads panel with Unicode characters. The filename appearing in the Downloads panel improperly renders some Unicode characters, allowing for the file name to be spoofed. This can be used to obscure the file extension of potentially executable files from user view in the panel. CVE-2018-5174: Windows Defender SmartScreen UI runs with less secure behavior for downloaded files in Windows 10 April 2018 Update. In the Windows 10 April 2018 Update, Windows Defender SmartScreen honors the SEE_MASK_FLAG_NO_UI flag associated with downloaded files and will not show any UI. Files that are unknown and potentially dangerous will be allowed to run because SmartScreen will not prompt the user for a decision, and if the user is offline all files will be allowed to be opened because Windows won’t prompt the user to ask what to do. Firefox incorrectly sets this flag when downloading files, leading to less secure behavior from SmartScreen. CVE-2018-5175: Universal CSP bypass on sites using strict-dynamic in their policies. A mechanism to bypass Content Security Policy (CSP) protections on sites that have a script-src policy of ‘strict-dynamic’. If a target website contains an HTML injection flaw an attacker could inject a reference to a copy of the require.js library that is part of Firefox’s Developer Tools, and then use a known technique using that library to bypass the CSP restrictions on executing injected scripts. CVE-2018-5177: Buffer overflow in XSLT during number formatting. A vulnerability exists in XSLT during number formatting where a negative buffer size may be allocated in some instances, leading to a buffer overflow and crash if it occurs. CVE-2018-5180: heap-use-after-free in mozilla::WebGLContext::DrawElementsInstanced. A use-after-free vulnerability can occur during WebGL operations. While this results in a potentially exploitable crash, the vulnerability is limited because the memory is freed and reused in a brief window of time during the freeing of the same callstack. CVE-2018-5181: Local file can be displayed in noopener tab through drag and drop of hyperlink. If a URL using the file: protocol is dragged and dropped onto an open tab that is running in a different child process the tab will open a local file corresponding to the dropped URL, contrary to policy. One way to make the target tab open more reliably in a separate process is to open it with the noopener keyword. CVE-2018-5182: Local file can be displayed from hyperlink dragged and dropped on addressbar. If a text string that happens to be a filename in the operating system’s native format is dragged and dropped onto the addressbar the specified local file will be opened. This is contrary to policy and is what would happen if the string were the equivalent file: URL. CVE-2018-5151: Memory safety bugs fixed in Firefox 60. Mozilla developers and community members Christoph Diehl, Christian Holler, Jon Coppeard, Jason Kratzer, Nathan Froyd, Paul Theriault, Ryan VanderMeulen, Tyson Smith, Sebastian Hengst, Byron Campen, Emilio Cobos Álvarez, Ronald Crane, and Phillipp reported memory safety bugs present in Firefox 59. Some of these bugs showed evidence of memory corruption and we presume that with enough effort that some of these could be exploited to run arbitrary code. CVE-2018-5150: Memory safety bugs fixed in Firefox 60 and Firefox ESR 52.8. Mozilla developers and community members Christoph Diehl, Randell Jesup, Tyson Smith, Alex Gaynor, Ronald Crane, Julian Hector, Kannan Vijayan, and Jason Kratzer reported memory safety bugs present in Firefox 59 and Firefox ESR 52.7. Some of these bugs showed evidence of memory corruption and we presume that with enough effort that some of these could be exploited to run arbitrary code. Popular Linux distros, as usual, have seen a number of security advisories and updates this month. As of the date of this writing (May 29th), Ubuntu has issued the following thirty-six security advisories. Some of these advisories address a large number of vulnerabilities in one advisory. In some cases, there are multiple advisories for the same vulnerabilities. Other commercial Linux vendors issued a similar number of advisories and updates.